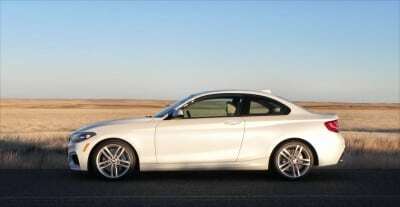 This is BMW’s lowest-priced coupe and is the smallest of the BMW series line, replacing the former 1-series. 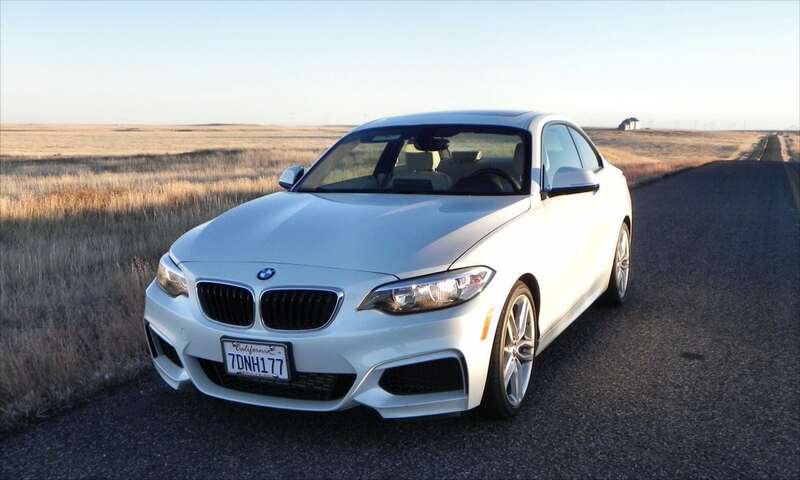 Despite its relatively lightweight price tag, the 2014 BMW 228i is a very well-mannered and engaging vehicle to drive, carrying the Bimmer name into entry-level luxury with style. Where the 1-series was cramped, expensive, and not very practical, the 2-series is roomier, well-priced, and more usable as a daily drive. The 228i coupe is the entry-level for the 2-series, featuring the smaller four-cylinder engine and generally less expensive base make up. This is not, however, implying that it is cheap in any way. 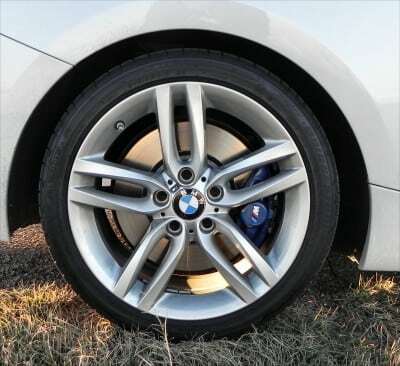 Everything about the 228i is still all BMW. 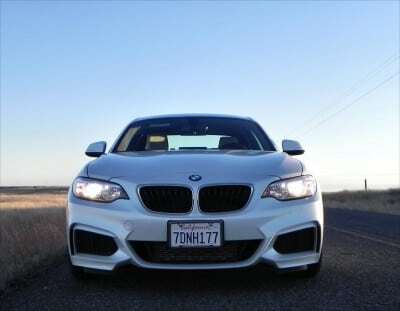 It is a sporty drive with plenty of rear-wheel power delivery and interior German comfort in a beautiful exterior wrap. 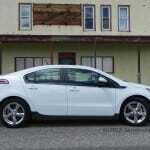 The base price for the car is in the same range as the upper point of many everyday coupes and sedans and its top-fitted price, as we drove it, is still competitive with most premium-level coupes in this category. 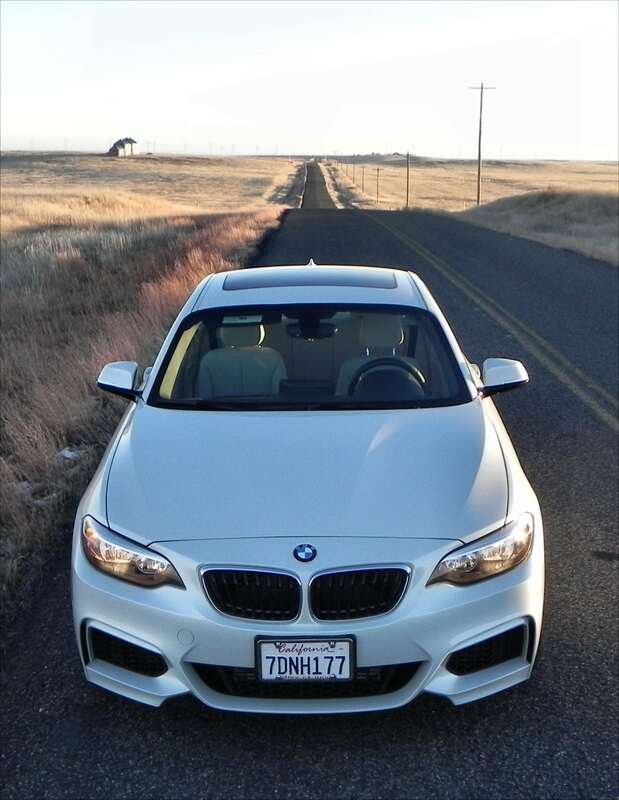 Dollar for dollar, the 2014 228i delivers well. The new BMW 2-series, which starts with this 228i, is beautifully rendered. Its appeal is singularly Teutonic, but carries a lot of European flow. The classy grille work, with double kidneys, uniquely-shaped and peering headlights, flowing hood with highlight ridges, and fast coupe windshield are all indicative of this car’s luxury status. The gaping intakes and wide foglamp openings at front, however, help emphasize the sporty nature of this car as well. That sport driving nature is accentuated by the wheels flung far to the corners and tightly ensconced in their wells in promise of aerodynamics. The fast back-style rear and small trunk bump with its spoiler finish off this look. 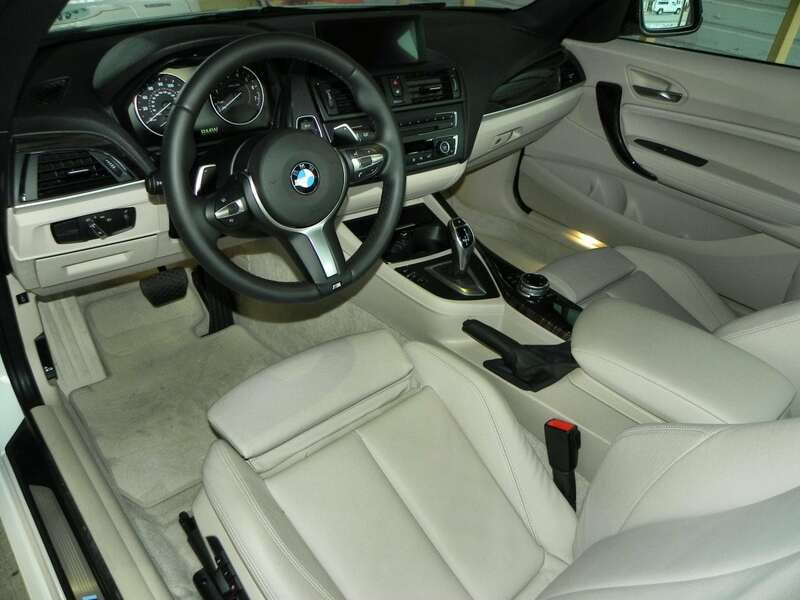 Inside, the 228i has a cultured appeal that focuses on the driver’s seat. 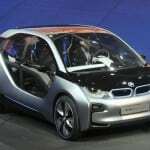 Instruments are well-placed and simply illuminated for ease of access and controls are all where BMW drivers will expect them to be. The new shift lever may take a little getting used to for some, as will the iDrive controller for those cars equipped with the upper-level infotainment options. On the whole, though, the interior is well-appointed and speaks of quality and workmanship. Distractions include the oddly out of place infotainment screen, which appears to be glued onto the dashboard, jutting up as an afterthought. The back seats are only for show as well, having little room and almost no use for anyone over three feet tall. 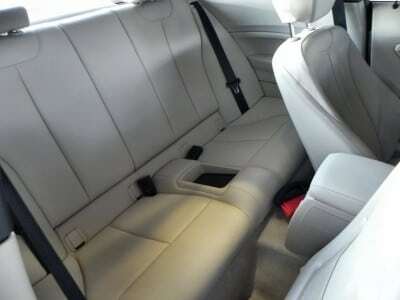 The trunk is of good size, however, and the interior space is large enough that even the big and tall will have little trouble getting comfortable in the front seating. 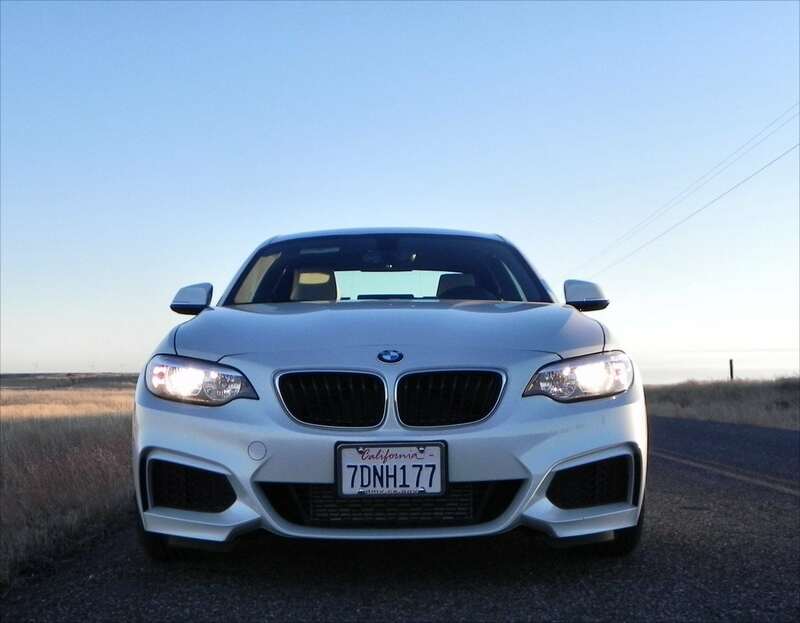 The 2014 228i offers a 2.0-liter four-cylinder turbocharged engine producing a respectable 240 horsepower and 255 lb-ft of torque. This runs through a choice of six-speed manual or eight-speed automatic transmission to the rear wheels (we drove the automatic). 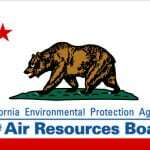 The EPA gives the automatic a 28 mpg combined rating (23/36 city/highway). For performance drivers, despite this seemingly small engine, the 228i delivers a punchy 5-second 0-60 time (give or take a few tenths). Our best time was 5.5 seconds. Although many enthusiasts may poo-poo the smaller engine option for the 2-series, the 228i delivers excellent performance for all but the pickiest of power mongers. 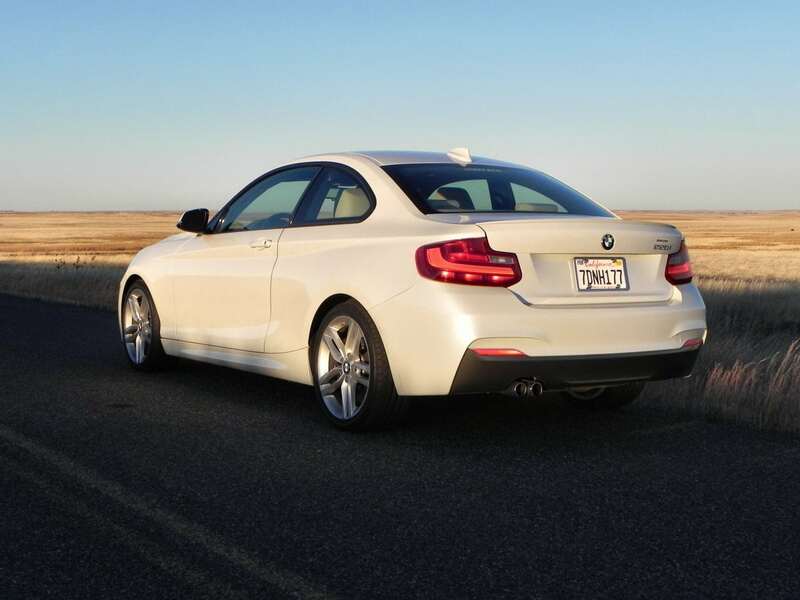 Selectable drive modes and an adaptive suspension, part of the $3,000 M Sport package we enjoyed on our test vehicle, make the 228i capable of being both an everyday driver with a smooth freeway ride and a sporty in-town presence. 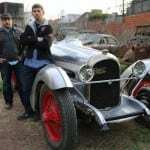 For most, however, the optional Dynamic Handling package ($1,000) is probably overkill and the over-the-top Technology package ($2,150) is really only needed if you’re a serious technophile. During our travels in this BMW, we visited the Boulder, Colorado area on a quick “down and back” drive to attend an automotive event. 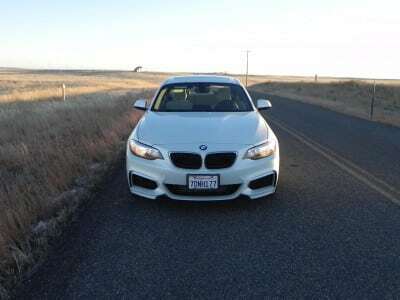 Our time on the freeway during this run proved that the 228i is a great long-distance car with the ability to get up to speed quickly and then hold it there in comfort. 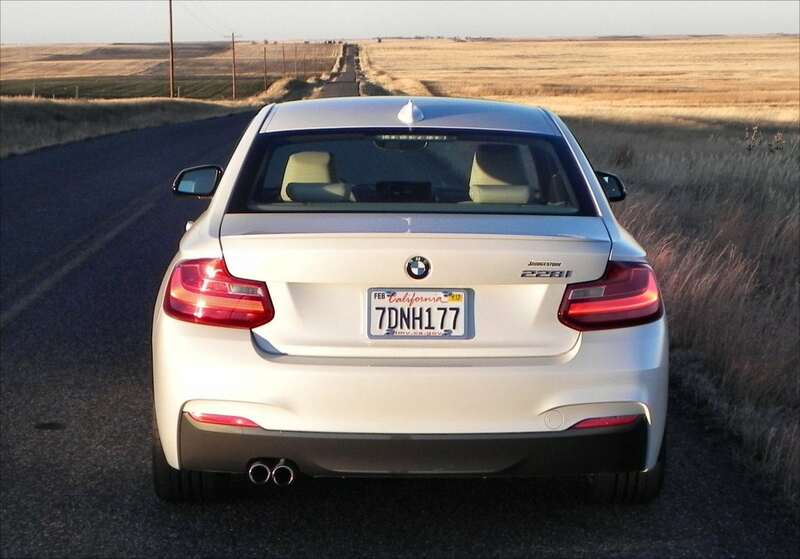 Around town and on the open road, though, the 2014 228i really shines. It takes corners with confidence and powers along straights joyfully. Despite the engine’s small size, it outputs beautiful notes as it does so. In this class, competitors are few, but all bring a premium A-game. The Mercedes-Benz CLA-class and Audi A3 are its closest rivals, both of which are also very hot little cars, but which also carry heavier price tags to go with their four doors. The Infiniti Q60 and the Cadillac ATS (review coming soon) are also inside the 228i’s range in terms of size, price, and drive dynamics. Very sporty and fuel efficient in one package. Beautiful design and excellent drive dynamics. Small coupe and all that implies. 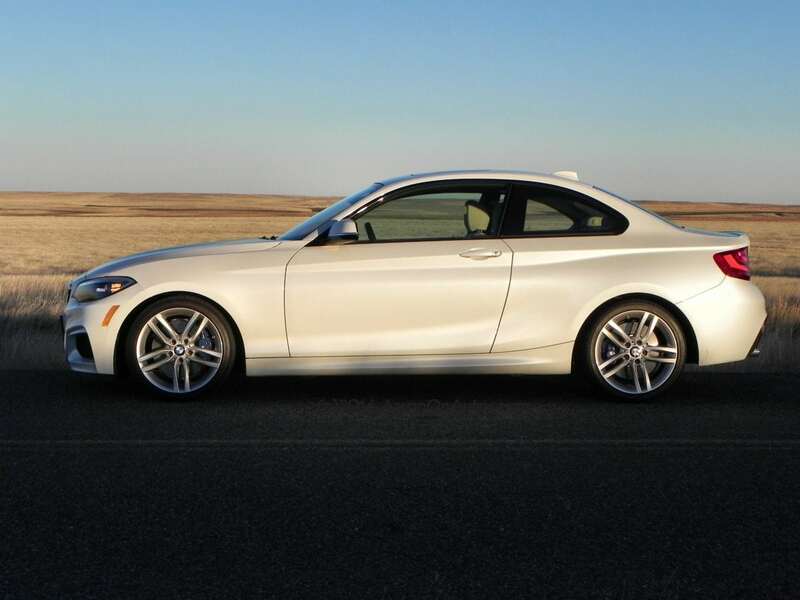 The 2014 BMW 228i is a beautifully-made little coupe with a lot more sport than some looking at just the numbers might expect. The four-cylinder engine that powers it is far more aggressive than expected and its handling characteristics are pure BMW. A great little car at a realistic price. The 228i was a manufacturer’s press loan for about 5 days, during which time we put 397 miles on the car in mostly freeway driving with some in-town, urban, and highway driving as well. AFR vs O2 – what is the difference?